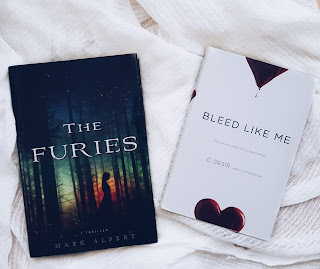 The books I received were Bleed Like Me by C. Desir (Value - $17.99) and The Furies by Mark Alpert (Value - $25.99) So a combined value of the box was $43.98. 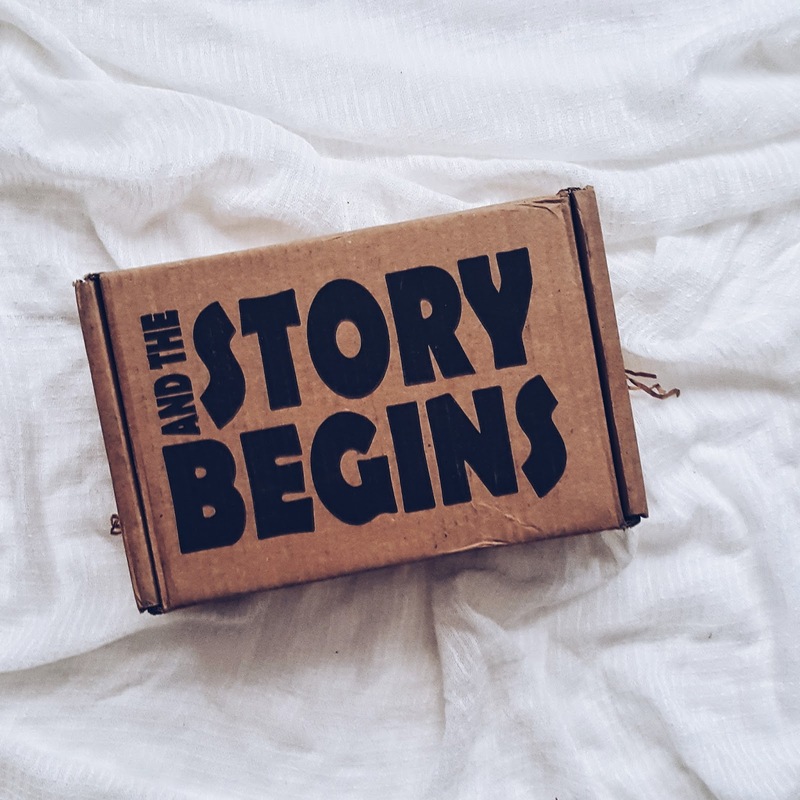 I do have to say though And The Story Begins won't be everyone's cup of tea especially for all of you who only want the latest releases in your book boxes, for example, the books I received were both released in 2014. So for people who buy a ton of books every month and want to read the latest releases, this won't work for you. I think this book box will be perfect for people who don't have time to keep up with the latest and greatest happenings in the book community and just want a good book to read or maybe for those who want to explore a new genre from the ones they usually grab but are not sure where to start. One thing I loved about the company as a whole was their packaging it was beautifully done. They also are very environmentally friendly using 100% recycled materials. They offer three subscription options with their lowest being the one month for $16.95 which I stated above, the second option is their three month for $47.50 and their third option is for six months for $86.50. I didn't see this until after I posted my review but luckily as I grabbed the books to put them away I saw it. The books even though brand new did come with a small imperfection. If you are a book blogger or anyone who deals in the book community you probably already know what they mean. 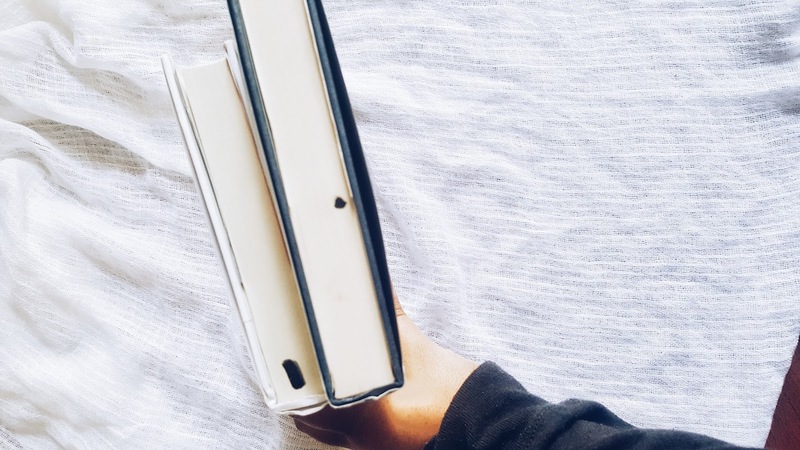 For those of you who don't it basically means the books were returned to the publisher by a bookstore or the likes due to excess in inventory, and the publisher marks them with those marks signifying it a bargain book and that the book can no longer be returned to them for credit. If you purchase from places like book outlet you may have seen them in your book as well. I was a little surprised to see the marks on these books, I didn't see it stated anywhere on their website that the books will come with these imperfections. 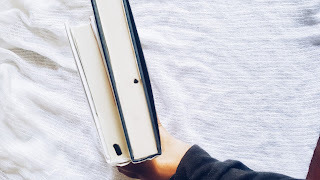 I have plenty of books with those marks since I purchase my books from all over but for those of you who want a "perfect" book, this might not be for you. 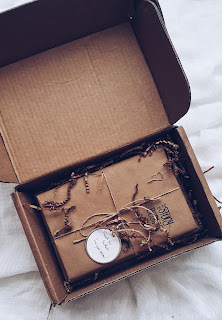 ---I received this box from And The Story Begins for a fair and honest review. For those of you who are curious about the books I received here are the blurbs for both books. Bleed Like Me - From the author of Fault Line comes an edgy and heartbreaking novel about two self-destructive teens in a Sid and Nancy-like romance full of passion, chaos, and dyed hair. The Furies - For centuries, the Furies have lived among us. Long ago they were called witches and massacred by the thousands. But they're human just like us, except for a rare genetic mutation that they've hidden from the rest of the world for hundreds of years. Mark Alpert's The Furies weaves cutting-edge science into an ingenious thriller, showing how a simple genetic twist could have inspired tales of witchcraft and sorcery, and how the paranormal could indeed be possible.